Clearing your sidewalk this winter doesn’t have to be back-breaking work. 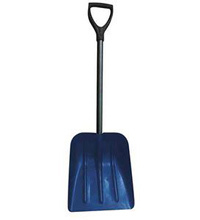 It’s snow problem with this steel handle snow shovel from Westward. Keep your lawn and backyard well maintained with this and more outdoor products from Zoro.com. From lawn and garden tools to outdoor storage, pressure washers and chain saws, if you need it, Zoro has it!